The winter of 2014-2015 was the snowiest winter on record for Boston, Massachusetts. 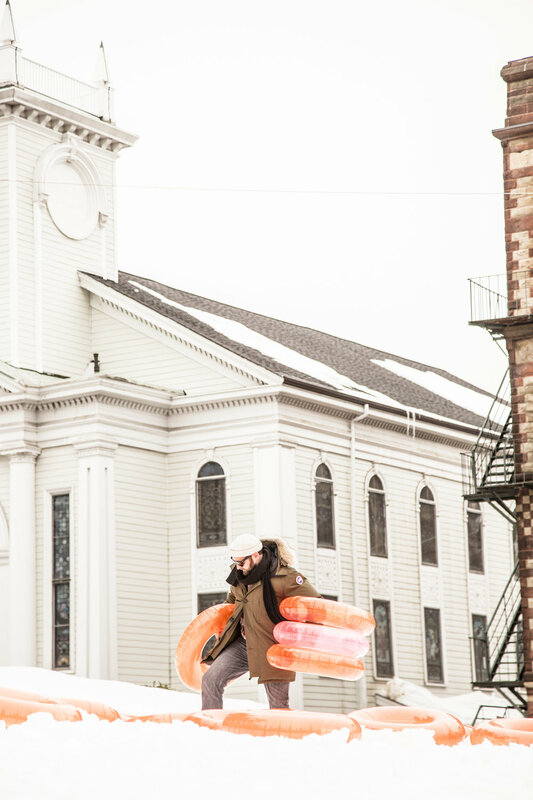 In the spirit of small-scale tactical urbanism, and in an attempt to have some much needed fun with the snow, three landscape architects bought 60+ brightly colored inner tubes and threw them in front of City Hall in Cambridge, MA. Collectively, designers and residents took back their green space from Old Man Winter. Adults and kids alike enjoyed the tubes for sledding, sitting, and making art. The tubes became a playful reminder that public space is a place for community, play and creative expression, regardless of snow, sleet and ice.